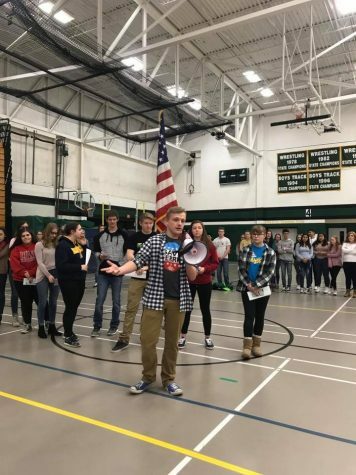 Readers of The Jet, you probably are wondering why a foreign exchange student is writing an article about the pledge, but who better than me can write an opinion about it. I can show you an opinion on the outside. The Pledge Of Allegiance is an American tradition. No other part of the world has a pledge of Allegiance. A lot of American people do it because it shows respect to the country where they grew up. Some Americans don’t like it because they feel forced to do it. In Italy, for example, we don’t have any flag in each class. We don’t always sing the anthem, and we don’t have a pledge or anything like that. Italian people show their patriotism less than America or some do not at all. In important games, such as nationals and regionals, we sing the national anthem and we put the hand on our heart, but in least important games we don’t do it. Some of Italians don’t even know all the national anthems, like me. I think that we don’t put stock in this sort of thing, not because we don’t love our country, but because we can demonstrate our appreciation in different ways. For example, we are very grateful for our food and we open a lot of Italian restaurants in the whole world. Every country in the world should appreciate their country more, but not forcing people to stand up and say a pledge. It would also be an embarrassing moment for foreign students that were born in another country. If you are not from America you probably don’t even know what the pledge is. Maybe as an American you don’t know where it was written, or by whom. What some Americans may not realize who suffered and died for the flag. The Pledge of Allegiance was written in August 1892 by the socialist minister Francis Bellamy. Foreign people will not understand it very well either, because in the poem there is the word ‘liberty’. But if you force people to recite the pledge then there is no liberty. With this, they don’t want to say that the government should not impose anything, because would be anarchy, but they say that the government should impose other. 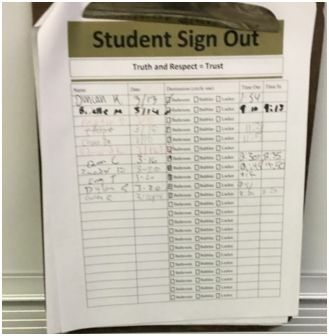 As an Italian student who does not have a pledge forced, I think that is not a problem to stand up and say the pledge, but everyone should decide to do it or not. If I was American I would do it. It is a good thing to be grateful for your born country. It gives you a home and a life, and for this, every country has to be proud and thankful. But as I said before, it should be something from your heart, not imposed. So the solution is to have the pledge, but not to require it to be mandatory because is ‘one nation, under God, with liberty and justice for all’.